Ours is a family owned business. 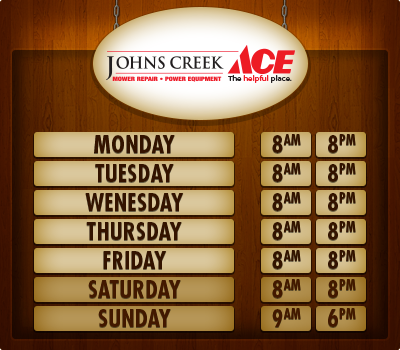 We have lived in the community for over 15 years and have come to know our customer’s needs. We continue to seek out new products and services to meet the ever changing demands of the marketplace. We work very hard at hiring associates that strive to be the best that they can be and can collaborate with other associates to learn and yes have fun. We continually reinforce the idea that if you are not passionate about that which you do, you cannot succeed. Our hope is that each customer feels at home in our store and enjoys their experience whether buying a Big Green Egg, having their mower repaired, or simply finding a fastener to complete the smallest of projects. We trust this web site (our first) is informative and compels you to visit us. We certainly have something great “in store” for you. The Lukowiak Family and our Team of associates.